Bring a little fashion back into the outdoors with Rieker Y9131-43. This fancy and durable little boot comes with this cushioned footbed you love from Rieker, while being supportive and fashionable. 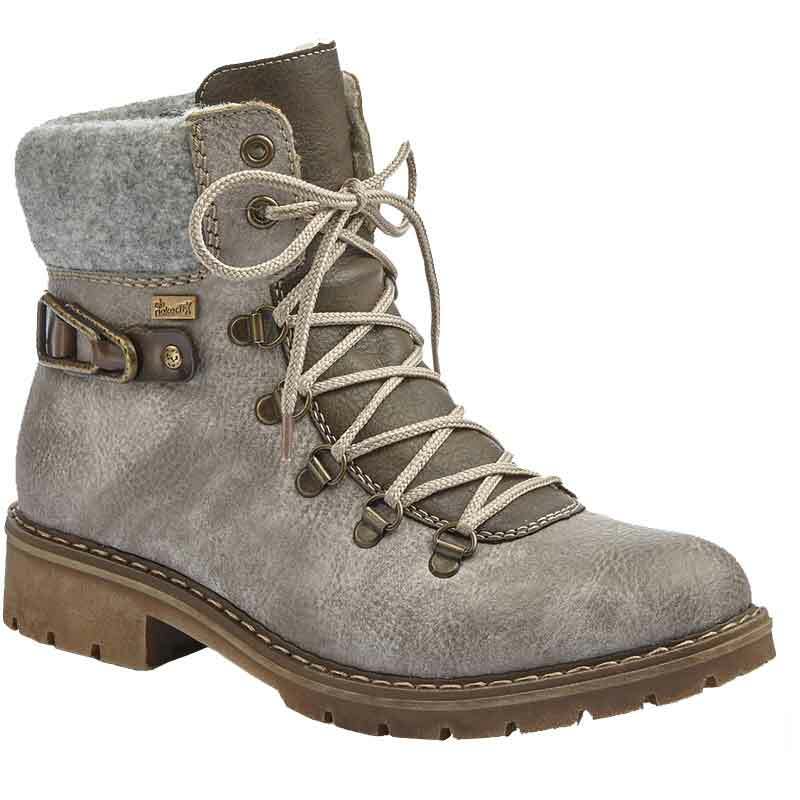 This sassy little boot is shearling lined with a padded collar for ultimate comfort this winter. The traditional lace up design gives you a secure fit while the side zipper lets you in and out easily as soon as you get those laces exactly where you want them. The textured rubber outsole helps you stay on your feet while assisting in shock absorption as you move through your day. Light and flexible with a buckle detail, you just can’t go wrong with Rieker this winter.